I am a scientist with a PhD, former college professor, and enjoy teaching. Over the past three decades, I have taught many science and math courses at both the high school and college level. Understanding basic concepts, as opposed to formula memorization, is paramount to becoming a successful student in math. I have had the pleasure of helping numerous students comprehend core mathematical principles, achieve higher test scores and, consequently, higher overall class grades. My methods produce results! I tutor algebra, geometry, trigonometry, precalculus, and statistics, and specialize in helping with ACT, SAT, GRE, and GMAT exam (math section only) preparation. Regardless of the subject, I encourage students to develop critical thinking skills through problem solving and asking relevant questions. Math and science, in general, are a process in which learning at a certain level rests on what has been learned in all preceding levels. I help students review concepts at preceding levels and catch up on what they have missed. I also teach Mandarin Chinese part-time in the School District of Palm Beach County. 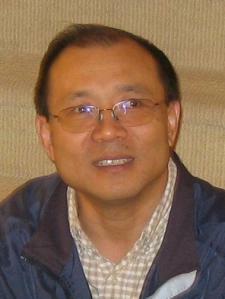 I have taught and tutored Mandarin Chinese to kids, teens, and adults for many years. My first language is Chinese. I am currently a part-time Chinese teacher in the Palm Beach County School District. I have studied and worked in the United States for 15 years. I am a good communicator, and speak English fluently. I have effectively taught and tutored American people to learn Chinese/ Mandarin for years. I tutor statistics at high school and college levels, including AP Statistics and methods for biological data analysis. Knowing statistical content is not enough to be a good statistics tutor. Statistical ideas and rules often are abstract and complex to understand. It is difficult to motivate students to engage in the hard work of learning statistics. Therefore, I believe that tutors not only need a good understanding of statistics, but they also need to have practical ways and skills to help students understand statistics and solve problems. My approach is to pay attention to the role of using data and emphasizing concepts rather than computations, focusing more on applications and less on theory, and incorporating technology and active learning with data analysis. Technology includes statistical software to graph and analyze data to illustrate abstract ideas. I have more than 20 years of experience in applying statistics to hypothesis tests, sampling and experimental design, data analysis, and result presentation in many ecological research studies. A grasp of algebra is the basis for higher-level math and science courses in high school, which can open doors later in life for a better future. My algebra tutoring strategy is to help students grasp each concept and build the confidence to solve problems independently. I first understand how students learn and then plan my tutoring sessions to their specific algebra needs. I also offer flexible scheduling options to meet students’ needs. Biology is an interesting subject, but bio can be completely overwhelming—even for high school students or first-year undergrads. I have taught bio at both high school and college levels for years. I can help you with anything your bio teachers assign: homework questions, science projects, labs and lab reports, test prep, or reviewing tough concepts or entire chapters. When you're stuck on something like that, I am here for you. My tutoring methods vary based on a student’s performance and skills. I usually break down problems with students, step by step, while I ask them questions about why I do it that way, to guide students toward discovering and truly understanding concepts, which helps with retention and effective problem-solving. Precalculus includes algebra, coordinate geometry, trigonometry, and most of all, functions---the general concept as well as specific functions. Students come to this course familiar with basic algebra and geometry. A precalculus course builds on all of their previous mathematical knowledge and experience to understand calculus that is essential to succeed in a college. I have had great success teaching those concepts and functions. My methodology is that I first help students learn the essentials of what they need to improve grades and scores. I also foster an attitude of self-reliance and curiosity to pursue any goal they choose, and impart tools necessary to find their own answers. Trigonometry is built on the principles of algebra and geometry. Mastery of trigonometry is essential for success in college-level courses such as calculus and physics. My tutoring goal is to help students understand trigonometry content and master core concepts like trigonometric functions and triangle theorems. I will provide personalized tutoring strategies for students to meet their specific needs. Hongjun came prepared to tutor and teach. He did a great job helping my daughter to catch up in Chinese. He gave her a number of 'tricks' to help her understand character writing. Very pleased with the help my daughter received with her Mandarin Chinese. Hongjun was able to test her in many areas to see where she currently is with regard to her learning. He then presented us with a number of options for continuing her learning. I am very pleased with what Hongjun was as able to accomplish in just one hour. Pleasant with a great grasp of complex math. Working with Hongjun has been a great help for my son. He is absolutely a pleasure to work with and his knowledge of the subject matter is very impressive. He is very focused and quite determined which will help my son to reach the results he is hoping for and working towards.